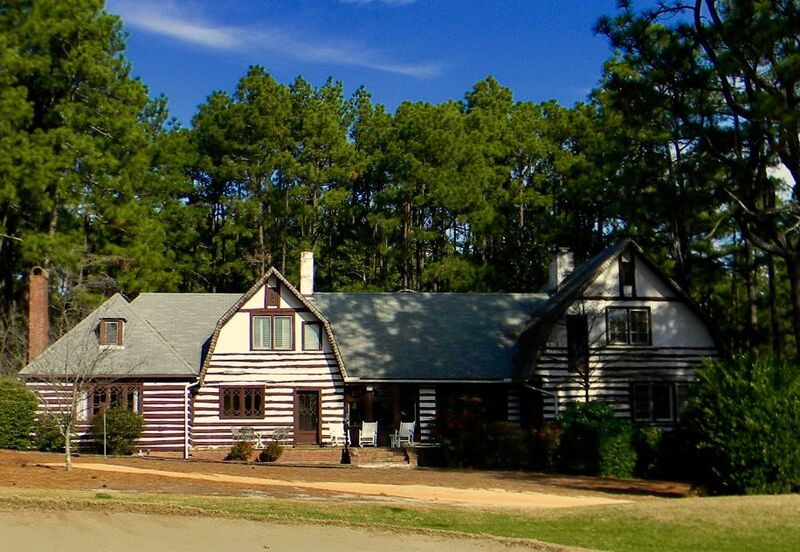 At Mid Pines, you’ll experience a tradition of Southern hospitality and distinction that dates back nearly a century. Built in 1921, our stately Georgian-style Inn wears her age with grace and charm. Walking through the halls, you’d almost expect to see Sam Snead holding court at the bar, or Julius Boros showing his putting stroke to an admirer in the lobby. The original antiques found in many of our guest rooms will take your mind to a time when every craft was treated as an art. And the modern comforts in each room will satisfy golfers, business travelers and families alike. In addition to the charming main hotel, Mid Pines offers private villas with kitchenettes (microwave and fridge) overlooking the 10th fairway. To learn more about our villas, visit The Villas at Mid Pines page. 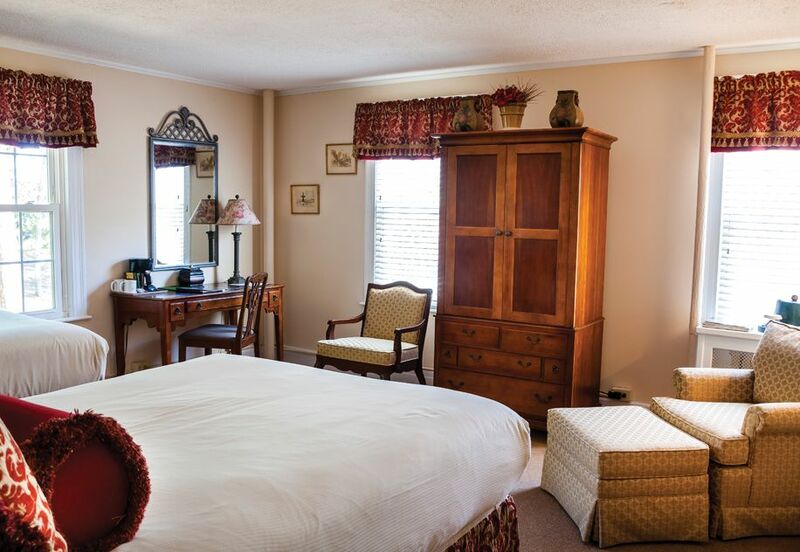 Unwind in a spacious, two-room suite featuring a King-size bed and bath with a charming sitting room that overlooks the front entrance garden. Or, opt for a parlor room that connects two King-size Golfview rooms to create a luxurious two-bedroom suite. 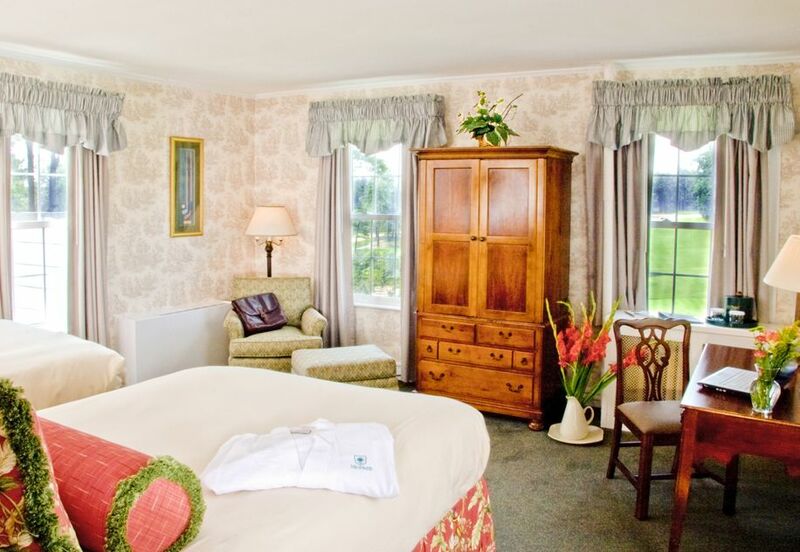 Experience the cottage-like warmth of our Golfview rooms with a scenic view of our famous 18th hole. Choose from a King bed or two doubles. Enjoy the fine detail of a historic hotel, with all the conveniences of the 21st Century. 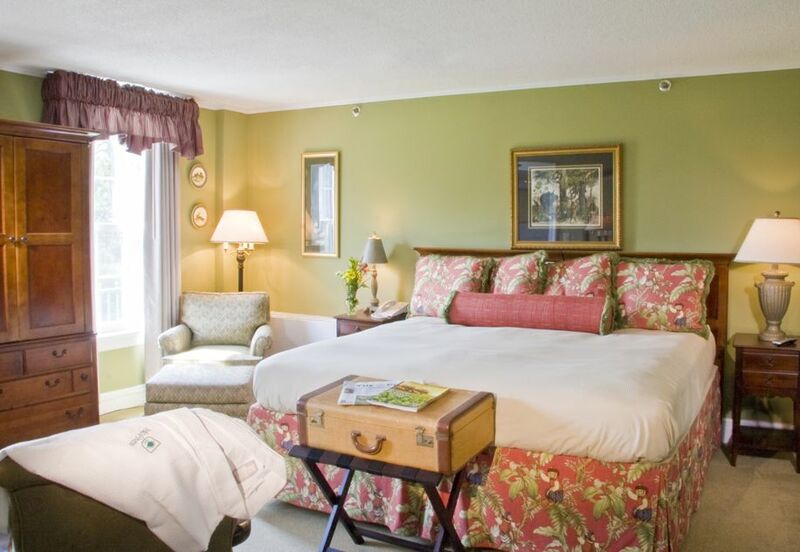 Each room features a King bed or two doubles with gorgeous garden views of the front entrance. Enjoy a private, course-side villa reserved for your group. Choose your ideal lodge by size (6-12 people) or amenity: kitchenette, outdoor seating, porch or patio, and/or game room. All villas are located along Mid Pines Golf Course, just a short walk from the clubhouse, dining room, Pop’s Lounge and meeting facilities.